Apparently it is bad form to go when the train is stationary. However, what I was interested to see is that, in Thailand at least, they have adopted Western style toilets. 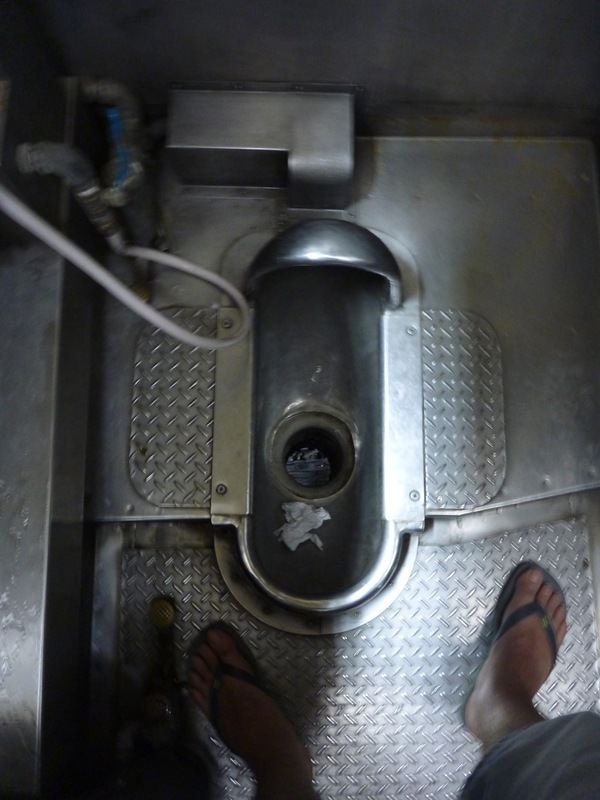 I found out at the end of our 13 hour journey that the cubicle opposite the one pictured was a standard Western style toilet. This is completely unlike chopsticks, where our Asian brothers and sisters have stubbornly persisted in their use despite the invention of the fork. I have my esteemed father-in-law Paul Jones to thank for that particular observation. Note that I don’t compare chopsticks with a knife and fork as knives simply aren’t used. Where a piece of meat is too big they simply bite some off with their teeth whilst holding the morsel using their sticks. I’m not sure where the ‘chop’ part comes from? Either way, the Asian society appear to have reserved all use of blades solely for ninjas. 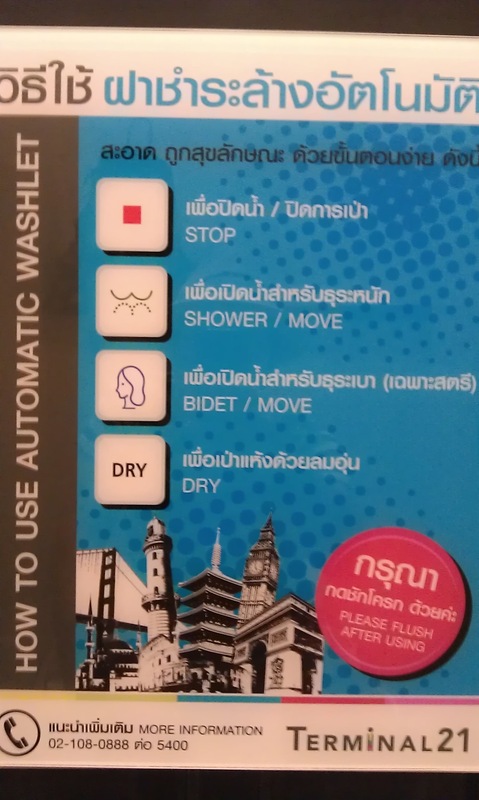 My favourite is the symbol used for the shower option although I wasn’t sure about the ‘bidet’ button. 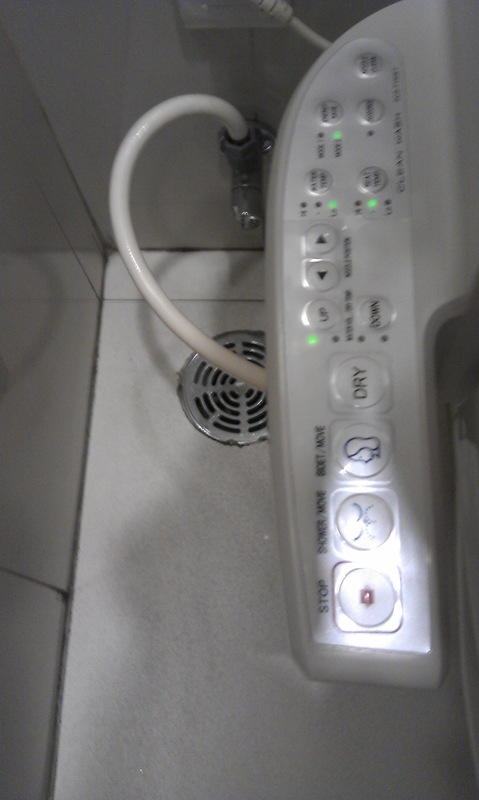 Anyway, I look forward to seeing how far this adoption of western toilet technology continues in the other countries we visit.